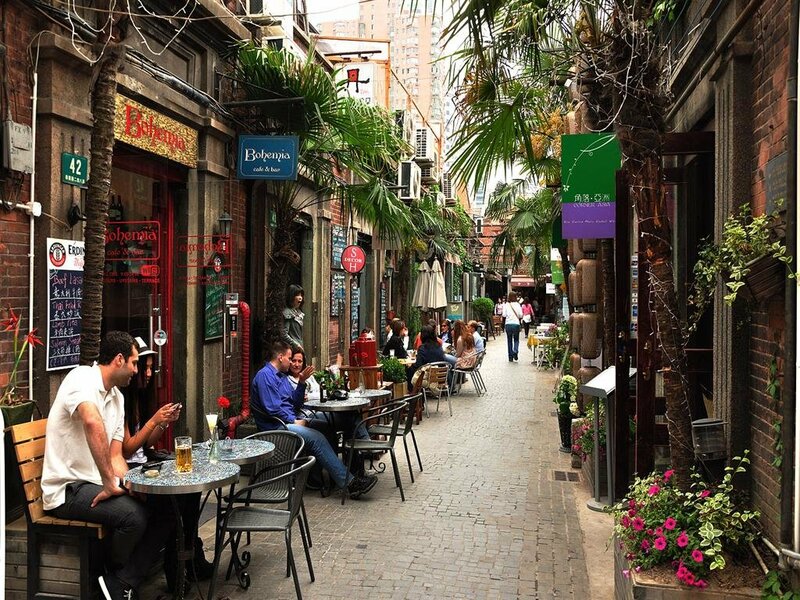 Shanghai French Concession, roughly bounded by Ruijin Road to the East, Yan&apos;an Road to the North, Zhaojiabang Road to the South and Huashan Road to the West -- is quiet, tree-lined and teeming with a large number of boutiques, bars and restaurants. Despite re-development over the last few decades, the area retains a distinct character and keeps the old Shanghai complex in heart of every Shanghainese because its streets are filled with memories. Hit the pavement today with us on the best route to see this unique neighborhood and walk into the past. First visit the Okura Garden Hotel Shanghai which is situated on Huaihai Road. The hotel built in 1926, retains the vestiges of the French Club and preserves its beautiful Art Deco atmosphere. See the Cathay Theatre which was a favorite of famous Shanghainese author Eileen Chang and learn about China&apos;s golden era of film. Stroll through the streets of the old French Concession - Huaihai Road, combines tree-lined streets, local Shanghainese bustle and a growing number of trendy boutiques and restaurants. Most of the architecture keeps the mixture of Chinese-European styles. Walk along Sinan Road to see the classic old buildings and former celebrity residences and enjoy the neatness of the road. Pay a visit to the former residence of Dr. Sun Yat-Sen and Fuxing Park. which is an European style park with gardens, open spaces and restaurants and clubs dotted throughout. Our last stop is at Tianzifang in Taikang Road. It has become an amazing cluster of the trendy and cultural spots.